Explore a dangerous dungeon in search of treasure! Match similar cells to kill goblins, take treasure, heal yourself or disable traps! 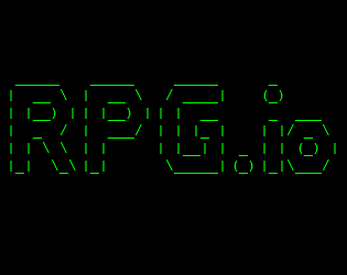 RPG.io was created during the STDIO Game Jam 2017, which was organized by The Museum of Art and Digital Entertainment (MADE). The jam requested games to only use the standard input and output (i.e. using the system console for reading and writing). That way, the games would remain simple enough to be studied by people who are learning computer programming. Playing from your mobile device browser? Try both portrait and landscape orientations to see which one fits better.